Gulfstream Aerospace Corp. announced its newest aircraft, the class-leading, award-winning Gulfstream G600, will make its Australian debut at the Australian International Airshow and Aerospace & Defence Exposition from Feb. 26 to March 3 in Geelong, Victoria. Gulfstream Aerospace Corp. recently announced the opening of its new Sales office in Vienna and new Sales team appointments in Europe, part of the company’s ongoing efforts to enhance the customer experience. Gulfstream Aerospace Corp. today announced it has made significant enhancements to its already extensive Customer Support resources in Europe and Asia, including the addition of hangar space for maintenance at Europe’s busiest business-aviation airport, Paris-Le Bourget. 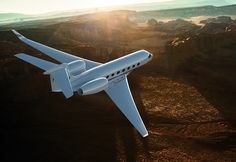 Gulfstream Aerospace Corp. received a 2019 Business Intelligence Group (BIG) Innovation Award for the advanced technology introduced on the high-performing Gulfstream G500. Gulfstream Aerospace Corp. will host a comprehensive schedule of Customer Support events in 2019, including two Customer Advisory Board (CAB) meetings, a Virtual Operators Conference, a flight operations forum and 10 operators forums. Gulfstream Aerospace Corp. reaffirmed its commitment to sustainability by using sustainable alternative jet fuel (SAJF) to power a record-breaking flight by its class-leading super-midsize Gulfstream G280 aircraft. Gulfstream today announced it recently made the first international deliveries of the clean-sheet, record-breaking Gulfstream G500. Qatar Airways received two G500 aircraft at Gulfstream’s Savannah headquarters. Gulfstream Aerospace Corp.’s Customer Support organization continues to strengthen its commitment to operators by adding people, facilities and capabilities to its worldwide network.